Intermediate and advance Microsoft Excel users who want to leverage the power of VBA on their Excel spreadsheet related tasks and improve productivity. This Microsoft Excel course demonstrates how you can use a combination of Microsoft Excel and VBA to increase your productivity, adding power and flexibility to spreadsheets, automate processes and improve user interaction. 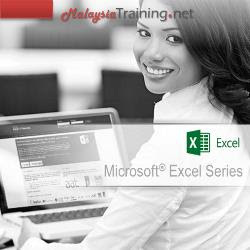 It requires intermediate to advance knowledge of Microsoft Excel for participants to attend this course. Programming knowledge, however, is NOT required. This Microsoft Excel VBA training course is designed for users who wish to learn how to use the built-in macro programming language in Microsoft Excel to enhance their worksheets and automate processes to increase productivity. Intermediate to advance knowledge of Microsoft Excel is required.